About Preferred Meals Experience and leadership for over 40 years. 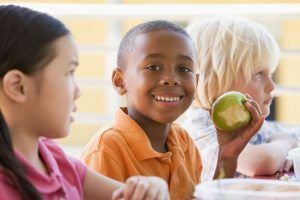 In 1967 Preferred Meals pioneered the development of a school meal program to meet rapidly expanding enrollment, economic and nutritional demands on schools. Today, Preferred Meals is the leading provider of complete, innovative meal solutions—delivering nutritious, quality foods students enjoy—and delivering the cost and service efficiencies schools require. In these challenging times, with budgets tightening and dietary requirements increasing, our system has never been more timely. Preferred Meals can help maintain food service budgets while maximizing nutrition, participation and reimbursements. As the component meal system evolved during the years, we capitalized on our efficient production and quality products by expanding the system to meet the requirements of other markets with similar needs such as Early Childhood/Head Start, Senior, and Summer Feeding. The same core concept of per-cooked frozen entrees translated well into serving the airline, military, healthcare, private label and co packing businesses. We offer food service solutions that work.